Innovations happening in these areas are making some aspects of life much easier and more convenient, freeing up time for humans to spend time being more human. Recent studies, including this from PWC, show that as popular as digital assistants and chatbots have become, human beings still appreciate the ability to reach other human beings, especially when their questions or concerns require the kind of thoughtful, friendly and personalized service the world of AI has not yet been able to match. The report goes on to say that the payoffs for great experiences are tangible: up to a 16% price premium on products and services, plus increased loyalty. In return, among U.S. consumers, there’s a dramatic increase in willingness to give up personal data: 63% say they’d share more information with a company that offers a great experience. Human interaction matters, too. The report says “…consumers want more of it in the future. Regardless, the technology supporting human interaction must be seamless and unobtrusive across platforms.” The report also says a stunning 54% of U.S. consumers say customer experience at most companies needs improvement. Chatbots and assistants do not offer the emotional support and personalized experiences consumers want and need, especially when it comes to making high-value purchases or scheduling an appointment with a medical specialist. Invoca optimizes live human interactions with their advanced AI-powered call tracking and analytics platform providing marketers with campaign attribution and data from inbound phone calls. Real time call analytics capturing data generated before and during phone conversations drives conversion rates up, according to Galvin, returning better results for digital marketing campaigns. “Innovation on the front end of the marketing process is adjacent to the work we do in supporting contact centers, bringing AI-based analytics, including sentiment analyses on our software platform.” The CustomerView platform measures tone of voice, pauses, words and patterns on both sides of every conversation, indicating how well agents are progressing with consumers, and helping to identify “what great looks like” based on emotionally-rich data. 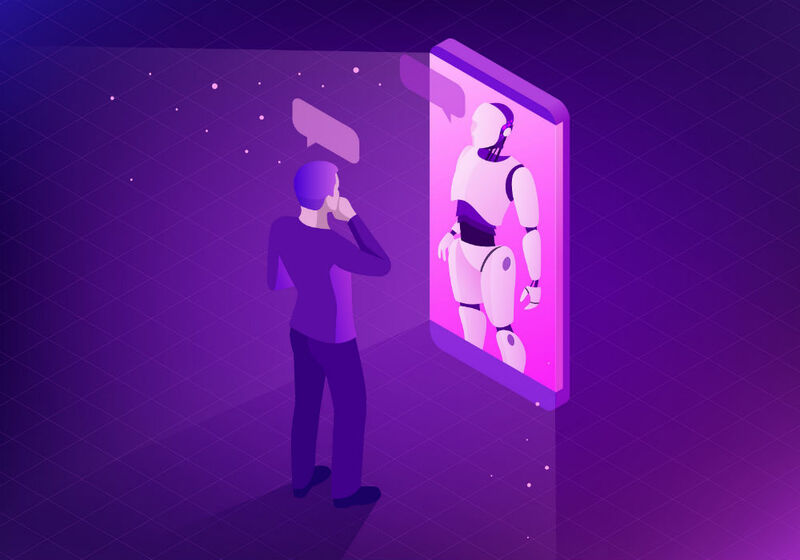 While brands are implementing new technologies to improve customer experiences, over half of consumers believe the future should entail a combination of human and automated support. By assisting agents in delivering information faster, Galvin says the agents and their managers get timely support enabling them to handle emotional situations and defuse them. Data over time becomes valuable in improving the performance of that agent, but also brings insights across the business (to marketing, human resources, training, product development and management, finance and legal for compliance. When it comes to big ticket items, and other important, long-term decisions, in industries including automotive, travel, hospitality, real estate, banking, insurance and healthcare, consumers deeply appreciate a sympathetic and even empathetic conversation. Some industries are picking up on this faster that others; often involve industries like financial services, insurance, telecoms, travel, and healthcare. In fact, Invoca’s survey found financial brands were rated low in this regard, with only 18 percent of respondents saying representatives displayed empathy and 21 percent saying representatives demonstrated adaptability. With access to “the cloud” and global networks with the high-fidelity transmission capabilities improving the quality of voice (and other forms of messaging), more information can be stored, accessed and analyzed less expensively. “User Experience experts are able to make the UX appealing, intuitive and adaptive, for agents, managers, marketing and product teams, and more, including in regulated industries where compliance has been a huge headache and cost,” Galvin said. It’s not enough to collect mass data; the analysis and sensitivity of the analysis of the data presented in a way that can be easily understood and acted upon (including alerts during atypical calls) may be “the holy grail” of the new, digital, constant and convenient CX.